Seeds or plays on table. 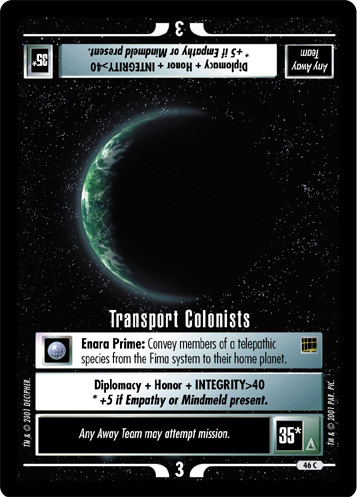 Once each turn, your Resistance personnel may report for free to your facility or ship or to any Bajor Region planet. 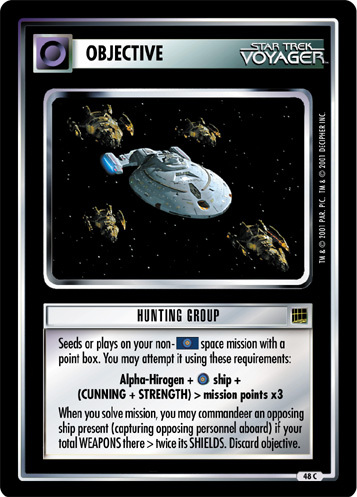 Also, your Bajoran espionage cards may not be nullified. 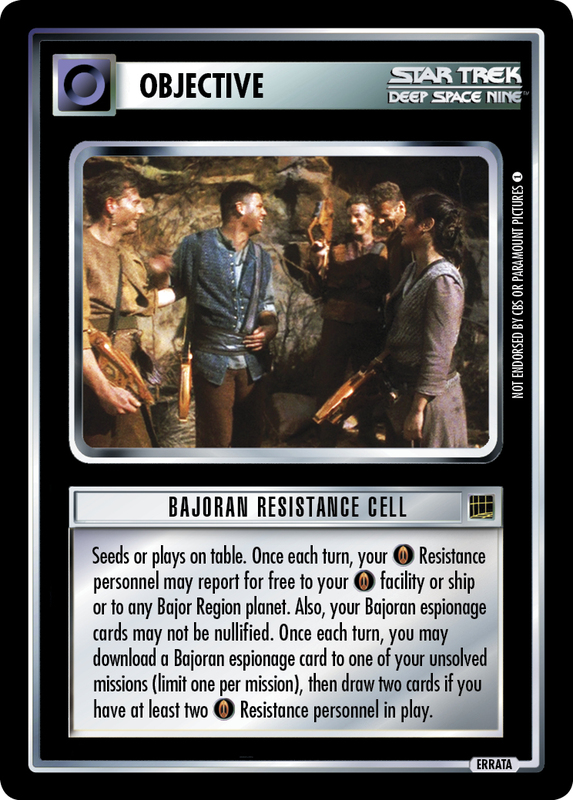 Once each turn, you may download a Bajoran espionage card to one of your unsolved missions (limit one per mission), then draw two cards if you have at least two Resistance personnel in play.